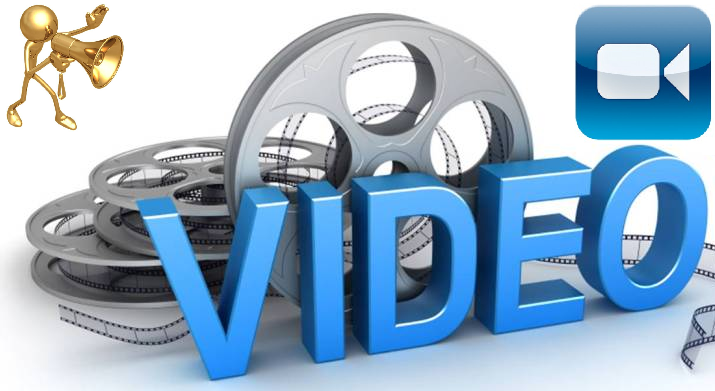 You can make video for YouTube, DailyMotion, Vimeo, MetaCafe, Vube, NetFlix, UStream, Hulu etc. and can share your videos on various online video sharing websites & other Social Media websites without a script, but you can't make a good video without one. Scripts outline the basic idea of what your video will be about, they keep you focused, and they keep the user engaged - your text or visuals aren't wandering all over the place. Here's how to build a foundation that will grab viewers by the eyeballs. Following Top Six Video Marking Script Tips for Vloggers will help you in building a foundation for Online Video Marketing. If you are running video blogs/vlogs or doing vlogging and are interested to get Guide & Tips for Video Script Writing, required to Make Professional High Quality (HQ) and High Definition (HD) Videos for Video Marketing via Vlogging to increase views and make your videos viral on Social Media sites, then you’re at right place. The introduction is probably the most important part of your video. If you get it wrong, nothing else matters because no one will watch your video. So, start strong and use a killer opening. Easier said than done? Sometimes, yes, it is. But, in general, you can get a sense for what works online by studying and comparing other successful videos in your niche. This usually isn't too hard - the most successful videos are the ones that get the most social shares, have the most "likes" or favorites, and usually they're also the ones with the most comments and views. You should also consider using a YouTube converter such as YTD to download copyright-free instructional videos on marketing so you can study them day and night, even without having an internet connection. Every video is ultimately leading up to something - some end point. What do you want your video to convey to viewers? At the end of the video, you should have users take some kind of action. This is where most people take a wrong turn. They have stunning visuals, they have a killer opening, but then they don't tell their users to do anything at the end. Viewers might like the video. They may even share it. But, there won't be a viral message to spread so eventually it'll lose steam. If you're running a business, pitching people at the end of the video isn't always the right move. Sometimes, your goal should be to just have people keep sharing the video - make it explicit. Tell them to share it right in the video. Other times, you'll have other videos in a series that you want users to watch. Tell them to keep watching. It sounds a little silly to spell things out for people, but you really need to do that. Viewers need to be told what to do next. Use "You" Instead of "We"
There's this temptation to use "we" instead of "you" when writing scripts or filming video. It's almost like companies want to either appear larger than they are or they don't want to speak directly to the viewer - big mistake. Swap out all instances of "we" in your video for "you." Talk directly to the user. Why? Because it makes the message more personal. People respond to personal messages. They don't respond (very well) to stiff third-party, corporate, indirect messages. Everyone's got a story to tell. Tell your via video. What is the moral of the story? Does your video have one? Can you share personal experiences in your video and tie them into whatever your video is about? If so, it'll make your message much more compelling. Have a target audience. This is a simple one to adhere to. Choose a type of audience that you want to reach out to for different video sharing websites i.e. YouTube. Is it single mothers? Is it happily married men? Is it single people between 35 and 40? Is it 20-somethings? Is it a particular race or religion you want to target? Make a choice and then speak to that crowd of people. Videos should be no longer than what's required to get your message across. With that said, you'll probably have a hard time keeping users' attentions for more than 5 or 10 minutes. The longer the video, the harder it will be to get them to "hang in there." Say what you have to say, and then give them a call to action. Short. Sweet. Simple.